One of the truly greats passed yesterday… Had seen him in concert at least half a dozen times through the years. His voice had a range and versatility beyond anyone else in the Jazz and Fusion arena. Cyrus Chestnut was born in Baltimore, and lives in the Washington-Baltimore area. I have seen him play 4 or 5 times, with my appreciation of what he is doing rising each and every time. I would call his style “austere”, with clean beautifully struck notes.First time I listened to Cyrus was in the late 80’s at the Treaty of Paris Restaurant in Annapolis Maryland. My group of 6 was in another room – We asked for and got a table in the room with the trio. That was a delight! He is one of the most requested pianists among recording musicians, including Freddy Cole,Bette Midler, Jon Hendricks, Freddie Hubbard, Jimmy Scott, Chick Corea, Isaac Hayes, Kevin Mahogany, Dizzy Gillespie, and opera diva Kathleen Battle. If you have heard Anita Baker, chances are you heard Cyrus. A shock. At 57 years of age, Prince Rogers Nelson was found dead at his home. Prince, the legendary musician who brought us countless hits, such as “Purple Rain” and “When Doves Cry,” has died. He was 57. The singer’s publicist confirmed the tragic news to The Huffington Post on Thursday. TMZ was the first to report the news. Earlier this week, the performer was treated for the flu aft er his plane made an emergency landing. A representative for Prince told TMZ that the singer was feeling under the weather during his shows last week and began to feel worse on the plane. After the emergency landing, he was treated at a hospital and released three hours later. Born Prince Rogers Nelson (after the Prince Roger Trio) on June 7, 1958 in Minneapolis, Minnesota, the multi-talented performer has been called “one of the most naturally gifted artists of all time,” by Rolling Stone. 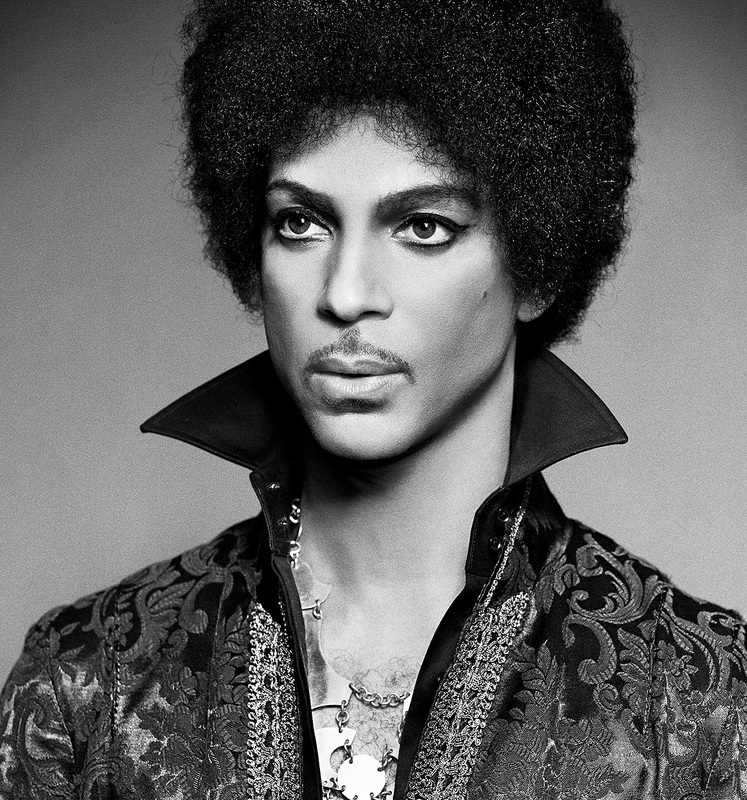 Prince was first signed to a record deal with Warner Brother Records when he was just a teenager. In 1978, he released his debut album, “For You,” followed by “Dirty Mind” in 1980 and “Controversy in ‘81. In 1984, Prince starred in “Purple Rain,” a film for which he created the soundtrack and original score. The artist won an Academy Award for Best original Song Score and the film took home the award for Best Original Musical. “Purple Rain,” the album, which featured the songs “When Doves Cry” and “Let’s Go Crazy” (as well as the title track), spent 24 weeks on the top of the chart and sold over 13 million copies. By 1989, with the release of his 11th album, “Batman,” Prince had become one of the most successful pop artists in America. He gained success at a time when stars like Madonna, Bruce Springsteen and Michael Jackson were dominating the industry, yet thanks to his ability to constantly transform, he managed to carve out a unique spot for himself. Prince went so far as to change his name to the unpronounceable symbol O(+> in 1993, which Rolling Stone dubbed one of “the boldest career moves in rock history.” The artist used the moniker until 2000. Fans and media alike were confused by the symbol, and often referred to the singer as “the artist formerly known as Prince.” The icon famously referenced his symbolic name with his guitar during his epic Super Bowl Performance years later in 2007. The performance is hands down one of the most memorable in Super Bowl history. After a few years of staying out of the spotlight, Prince performed at the Grammys with Beyonce in February 2004. The two played a medley of hits, including his “Purple Rain” and “Let’s Go Crazy,” along with Beyonce’s “Crazy in Love.” The following month, he was inducted into the Rock and Roll Hall of Fame. Prince also released the Grammy Award-winning album “Musicology” in 2004, with the accompanying Musicology Live 2004ever tour, which grossed a whopping $87.4 million. Maurice White, the founder of Earth, Wind & Fire, died in Los Angeles on Wednesday, according to The Associated Press. White was 74. White was diagnosed with Parkinson’s over 20 years ago and the band continued to perform without him. Used to be, you could tell what city you were in by the music on the radio. CATV and the homogenization of channels after major radio companies consolidated the small local stations – pretty much killed that. Chuck Brown was a DC institution. I heard Chuck Brown play the first time back in the 70’s, and have heard him play probably 15 or 20 times since. For years he played the “Cabaret” circuit – yet another institution peculiar to DC. The he started playing a new type of music – Go Go. Your dancing shoes – and a willingness to boogie all night. 1970 Pic of Booker T and the MGs. 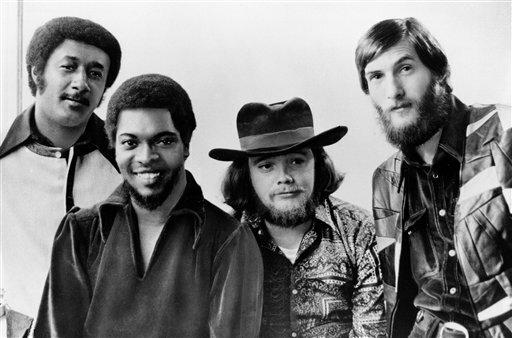 From left to tight Al Jackson, Jr., Booker T. Jones, Donald “Duck” Dunn, and Steve Cropper. That band for a lot of famous groups either on or associated with the STAX Label was Booker T and the MGs, who individually or as a group backed up just about anyone who was anyone in Southern Rock or Southern R&B for over 20 years. They and the Funk Brothers out of Detroit (the Motown Sound machine) defined not only soul or R&B music – but often played with rock groups. A short list of R&B Greats these guys backed included Otis Redding, Sam & Dave, Albert King, Johnnie Taylor, Eddie Floyd, The Staple Singers, Wilson Pickett, and Delaney & Bonnie. A session player for the group was Isaac Hayes. Among the groups they influenced were the Beatles. The distinctive sound of the group came from the Hammond B-3 and later the H-3 Organ, played by Booker T, and Issac Hayes – combined with the tightest base line possible laid down by Donald “Duck” Dunn, who would also play as bass for the The Blues Brothers, Muddy Waters, Freddie King, Albert King, Neil Young, Jerry Lee Lewis, Eric Clapton, Tom Petty, Creedence Clearwater Revival, Wilson Pickett, Sam & Dave, Guy Sebastian, Rod Stewart, Bob Dylan, Roy Buchanan, Arthur Conley, Stephen Stills, and Eric Clapton. Dunn used a sunburst Fender Precision bass with a rosewood fretboard and a red pickguard. In 1998, Dunn collaborated with Fender to produce a signature Precision Bass, a candy apple red-colored model based on the late 1950s style, with a gold anodized pickguard, a split-coil humbucking pickup and vintage hardware. The Duck Dunn P-Bass became the basis for a Skyline Series signature bass made by Chicago bass company Lakland a few years later, which is still available. Bass player and songwriter Donald “Duck” Dunn, a member of the Rock ‘n’ Roll Hall of Fame band Booker T. and the MGs and the Blues Brothers band, has died in Tokyo. He was 70. Dunn was in Tokyo for a series of shows. News of his death was posted on the Facebook site of his friend and fellow musician Steve Cropper, who was on the same tour. Cropper said Dunn died in his sleep. A spokeswoman for Tokyo Blue Note, the last venue Dunn played, confirmed he died alone early today. She had no further details. Dunn, who was born in Memphis, Tenn., in 1941, performed on recordings with Eric Clapton, Neil Young, and many others, and specialized in blues, gospel, and soul. He played himself in the 1980 hit movie, The Blues Brothers. He received a lifetime achievement Grammy award in 2007 for his work with Booker T. and the MGs.